Our Stryker hip Implant lawyers are investigating potential lawsuits throughout the United States for claims on behalf of victims who received a ceramic Stryker-brand hip implant that is or may be defective. Settlements in the Stryker lawsuits that have been filed around the country are ongoing and there are many more expected as we move forward with not only the ASR cases but the Stryker Rejuvenate hip stem and ABG II modular hip stems as well. February 2019 Update: The MDL judge stayed these cases to allow Stryker and the plaintiffs' lawyers the opportunity to work on a global settlement to these cases. Stryker has offered a variety of hip implant systems for the global reconstructive market. The ABG Hip System, Partnership Hip System, Secur-Fit Hip System, Omnifit Hip System, Accolade Hip System, and Restoration Hip System are all comprehensive systems of hip implants. You can get an update on the Stryker Rejuvenate hip stem and ABG II modular hip stem lawsuits here. 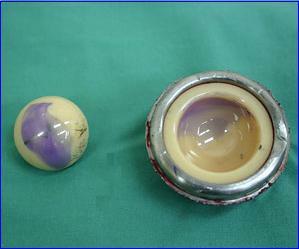 The Stryker’s recall relates to the Trident PSL and the Hemispherical Acetabular Cups. Those products are defective and frequently make an audible noise when moving (usually a squeaking or popping sound), a problem that may cause bone fractures, pain, discomfort, a potential shattering of the implants and may require additional replacement surgeries. The Stryker Hip Implant lawsuits allege product liability, negligence, and failure to warn claims against Stryker Corporation, Stryker Sales Corporation, and Stryker Orthopaedics, the manufacturer. These legal allegations could be framed differently: we trusted you to take care of us. And you didn't. Which Stryker Hip Implants Are Defective? Under pressure from the FDA, Stryker has recalled two devices from their Stryker Trident hip implant series—the Trident Acetabular PSL and the Trident Hemispherical Cups. These products are used for the “socket” portion of the hip replacements. How Do Hip Implants Work? Osteoarthritis: this typically occurs around age 50 when the articular cartilage that layers the hip bones wears away, causing bone-on-bone movement, pain, and stiffness. Rheumatoid arthritis: this is a disease that is often hereditary and causes inflammation of the synovial membrane and damage to the articular cartilage. Traumatic arthritis: this can result from serious fractures or hip injuries, which may cause osteonecrosis and damage to the articular cartilage. Implants typically follow the same “ball and socket” model: a socket (half-spherical cup) is implanted into the pelvis, which fits snugly next to a head (the ball). That head attaches to a spike that is cemented or drilled into the to the thigh bone (the femur). Traditionally, these implants have been manufactured from metal and/or plastic. What Is Wrong With The Stryker Hip Implants? 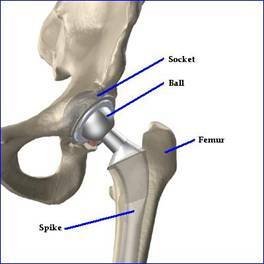 The recalled Stryker Hip Implants, introduced in 2003, are ceramic. Ceramic implants are a departure from other hip implants then on the market. 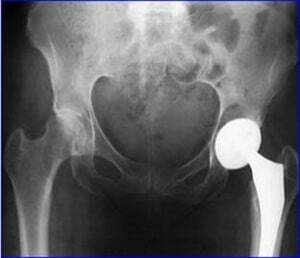 Up until that time, most hip implants were made with metal and plastic. The ceramic parts were initially recalled because of concerns about sterility from Stryker’s Ireland manufacturing facility. To date, no evidence has been uncovered to point to any significant sterility dangers to patients. Stryker also has a New Jersey facility that manufactures these components, and the company has not recalled those products. However, all of these ceramic components are defective for other reasons. Regardless of the sterility issue, many of these devices are implanted and have manufacturing defects that have or may cause problems and injuries. These devices are extremely prone to producing audible noises with movement—squeaks and popping sounds are common. Whereas noise rarely happens with hip implants generally, Stryker’s products have an estimated 7% chance of causing frequent noise, according to one investigation. This is significantly higher than any other product on the market. Many doctors are concerned that the squeaking may be a prelude to other problems with the implants—the ceramic material may break into shards, or the implants may wear out or cause pain and discomfort. In many situations, patients may have no choice but to undergo a subsequent hip replacement surgery, which can cost around $45,000, and carries with it a host of dangers, particularly for older patients. In fact, one reason many patients chose Stryker’s products is that they were told the ceramic devices were more durable and would not need to be replaced in the patients’ lifetimes. Of course, the squeaking itself is oftentimes loud and regular enough to cause serious social problems. Many patients have posted videos on YouTube of the noises their Stryker hips make, reminiscent of an un-oiled “Tin Man.” Take a look at this YouTube video for some idea. February 3, 2003: FDA approves Stryker’s Trident hip replacement system. January 2005 to April 2007: Company receives a large number of complaints from patients about their Trident hip implants, yet takes no significant action. What Is The Status Of The Hip Implant Litigation? Numerous Stryker Hip Implant cases have been filed in New Jersey state courts because Stryker’s manufacturing facility is located there (and, Stryker is based out of Michigan, which is oftentimes a terrible place to file a lawsuit). The Supreme Court of New Jersey ordered on March 31, 2009, that those cases, and any future Stryker Hip Implant cases filed in New Jersey state courts, are to be transferred and centralized to the Superior Court, Law Division, Atlantic County before Judge Carol Higbee. As mentioned above, we are now optimistic settlement talks to resolve these cases may bear fruit in the near future. Additionally, patients are filing lawsuits in their home states, as well. The settlement value of the DePuy ASR hip replacement is expected to be in the $200,000 to $600,000 range. Candidly, the early settlements of the Stryker hip cases have not been as much. This is because the Stryker hips are not metal-on-metal and the science on this is now painfully clear to everyone. Accordingly, we are far more optimistic about Rejuvenate cases.